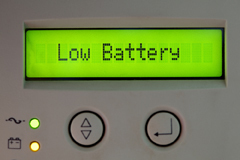 Static Power offers complete battery installation services for all major brands of flooded, valve-regulated lead acid and NiCad batteries. All of our installation technicians are factory and in-house trained to meet Static Power’s stringent quality standards. Installations performed by Static Power meet or exceed IEEE and manufacturer specifications. Our technicians will work with your electricians and maintenance staff during installation. If needed, we can provide the electricians for equipment installation. Static Power can provide spill containment systems and other safety related equipment for the batteries to ensure safe operation and storage of the batteries. We will also remove and dispose of old batteries using EPA-certified recyclers, ensuring proper disposal of the batteries.